Fab Wrap Front floral Playsuit. gorgeous sleeves ! SHEER BODYSUIT WITH DOUBLE ZIPPER. Features: Long Sleeve, Solid Color, Mock Neck, Double Zipper, Zipper Crotch, See Through, Slim Fit. Care Instructions: Hand wash or machine wash in cold water, line dry, do not bleach. LADIES DENIM DUNGAREES..EMBROIDERED FLOWERS..BRAND NEW..SIZES 10 AND 12..
From BOOHOO in Black & Ivory. 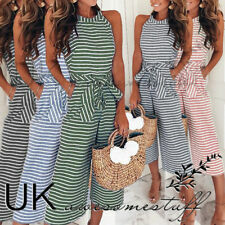 A great playsuit ideal for the party scene or in the office, slightly elasticated with tie belt & button front fastening. 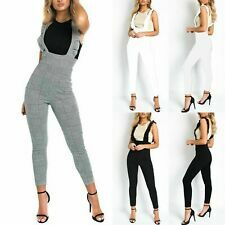 Slim Fit Unitard. Spandex, Polyester. Hand Wash. Full Print. 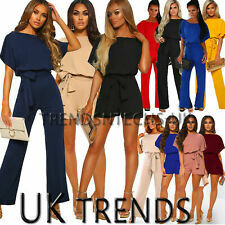 Ladies Womens Lagenlook Cami Strappy Baggy Harem Jumpsuit Playsuit Dress 8-26. 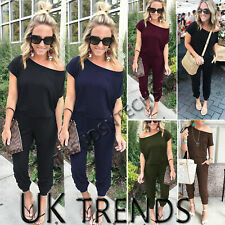 ASOS Design Wrap Jumpsuit With Self Belt - Size 12, Never Worn.